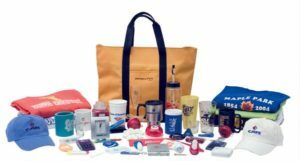 Direct importer of promotional materials, SMART Event Marketing offers a wide range of customizable promotional materials. Also, make sure the products they sell most fine quality – price and short delivery. In the categories of products customized and personalized to you we provide is rágás products ranges: Accessories Beverage, Games outdoor, sunglasses, beach accessories, articles outdoor balls sports products grill, cooler bags, accessories, bicycle Binoculars, digital Cameras, Towels, Bags & Articles travel accessories bags travel bags, business, CD Racks, premium products, gadgets, mobile holders, plush toys, writing instruments & Accessories office, notepads and Notebooks, pens multifunction, gel pens, pen set, Ballpoint pens, Pencil, office accessories, Memo stickers, markers, pen lighting etc. To receive customized and personalized product catalogs, and to request further information and inquiries, please contact us. SMART Event Marketing is a full service advertising agency offering integrated services Marketing, Communication, Public Relations, Events and Advertising Production Services and Promotional Material. Avertising with positive ROI and successful event! We support marketing departments, PR and sales with a range of products and services for all communication strategies: Above the Line, Below the Line, Through the Line or Online. We offer services such as advertising through prints digital-offset, indoor and outdoor, advertising audio radio commercials, advertisements and TV commercials, websites, online advertising, landing pages, direct mail, promotions, promotional materials, events, fairs and exhibitions, integrated Marketing services, Communications, Public relations, Events and advertising Production services and Promotional material. SMART Event Marketing – Advertising done right!